Every industry moves quickly in the current technological climate, but none faster than the banking sector. A perfect storm of the ever-evolving global market and financial, political, and social environments, the finance industry is one of continuous learning. There are new markets and financial products constantly being created, rules and regulations that range for local to international, plus intensive EOFY spreadsheetery. With a spinning catalogue of operational guidelines and procedures that, if not followed correctly, could literally cost billions, proper training is the name of the game. In a sector as significant as banking, however, traditional classroom-based training has often been found to be disruptive: its rigid hours and predefined materials not allowing the breathing room needed to keep employees up to date with minimal impact on ROI. The solution? eLearning. In most industries, the cost factor is one of the crown jewels of the switch to eLearning. Costing significantly less to deploy, run, and modify compared to traditional learning, online training solutions certainly present a strong case to the accountants among us. For the banking sector in particular, however, the amplified cost-saving benefits of really effective eLearning is what makes online training really shine. In the extremely particular banking sector, where long hours are expected and time-efficiency is crucial, the rigid schedules (not to mention time spent travelling and away from work) of traditional learning are, well, a bit of a spanner in the works. With eLearning, this time spent away from the office can be spent being productive. The self-paced nature of online learning solutions allows employees to learn to their own schedule – whether it be from home, on a train, or even on a plane! Less disruptions to the daily operations of your company = less costs for the training. Your staff can undertake eLearning in the rain. And in the dark. And on a train. And in a car. And in a tree. It’s so good, so good, you see! Who doesn’t love a customised experience? In industries like finance which depend on tightly controlled internal procedures and operate across multiple branches, eLearning solutions provide a level of privacy and controlled access tailored exactly to any organisation. With the ability to secure all materials behind your own VPN or firewall, eLearning courses can be delivered to all locations from a single point (which makes it a lot easier for the brains in IT to manage, monitor, and maintain security). Even more beneficial, eLearning gives key decision makers fast and easy insights into the status, progress, and general success of the training program. Gone are the days of waiting for instructors to grade and deliver reports – most LMS’ will give instant reports on each learner, as well as measure how well the materials have been absorbed! Despite long-held notions of the banking sector being a boardroom full of greying men in suits and a half-eaten platter of vegetable sandwiches, it’s far from stationary. In fact, the finance industry is perhaps one of our most dynamic industries, its dependence on global shifts creating a need for frequent change when it comes to learning materials and compliance training. By removing the need for printed textbooks, specialist trainers, and rigid lesson schedules, eLearning makes the process of updating training courses quick, painless, and highly compatible with your yearly budget. Whether onboarding new hires or simply retraining seasoned staff on changes in policy, eLearning is a great way to hone your workforce’s skillsets – without starting your training courses from scratch. For the banking and finance sector, the need for constant adaptability and strict internal procedures means good training is crucial to survival. eLearning provides a level of cost-efficiency, customisation, and ease of access that traditional training cannot match. Professional online learning solutions are helping financial organisations train their workforce faster, better, and with improved ROI. The ability to constantly improve and deliver more engaging online training is the next step in this revolution within the banking industry. Expertise in animation, video, VR and AR, and sound will ensure the benefits increase well beyond the initial returns. 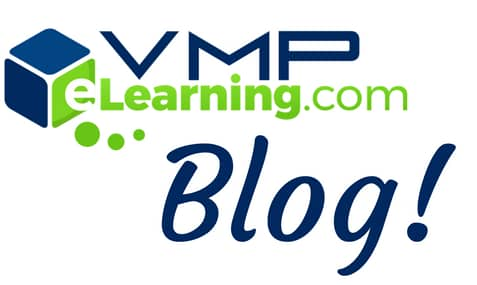 To discuss your company’s needs and the opportunity to get the best out of your workforce using educational science and tailored solutions, contact VMP eLearning today for an obligation-free appointment.